So, you’ve sponsored your local minor league baseball team, you have gift baskets sent to referring dentists over the holidays, and you even have your local elementary school coming to your practice for a visit every quarter for a fun lunch-and-learn with games and snacks but for some reason your practice has plateaued, you’re generating the same amount of leads than last year and the year before that, furthermore, most of the leads come from sources that are primarily out of your control, like referrals! which make forecasting revenue inconsistent and unpredictable. Your website should be your best salesperson to potential patients and referring doctors. A highly optimized website has the potential to attract visitors from other platforms such as Facebook and Google, it should help to build trust in your brand and in your practice’s ability to perform the treatment the visitor is interested in. Ultimately, your website should get people through the door and in seats for consultations or better yet starts. Imagine your marketing as a funnel with the top of the funnel being where prospective patients learn about you and your business and the bottom of the funnel where they become raving fans. With a well-optimized website attracting and nurturing prospects through this funnel, the referrals that you’re used to will become a nice addition to an already flourishing marketing program and not the lifeblood of your entire business. The methodology we use to do this is simple – Attract people to your website, Convert them (collect their contact information), Close them into customers and Delight them so that they will recommend your business to their friends and family. If your website is doing none of these things, then your funnel has holes and is leaking massive amounts of potential revenue for your practice. 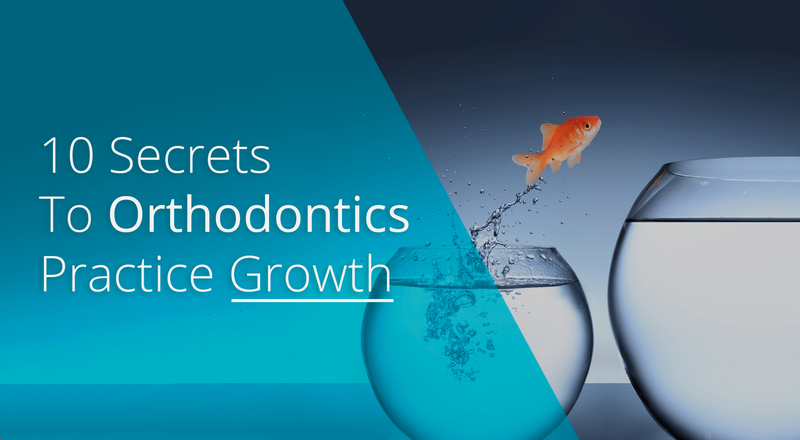 The one thing that forward-thinking orthodontists have in common is that they utilize their website as a way to communicate their brand voice. In a sea of braces and Invisalign provider sameness, what makes you unique? Even if you’re a super elite 1% provider of Invisalign, are you simply putting the badge on your website without any explanation as to what it means? The more information you provide on your website, the better, but the information should be contextual and inline with where the prospective patient is in the “Buyer’s Journey”. By providing content for your visitors at every stage of their journey, from the first time they learn what Invisalign is to them walking through your front door to start their treatment, you’ll create much more trust and loyalty from visitors rather than your competitors who are using their website as a brochure. And CMA found that 68% of consumers are likely to spend time reading content from a brand they are interested in. And before a potential patient even calls you for information they are already 57% through their decision-making process according to HubSpot. This means that if you’re not answering the questions that your prospects are looking for on your website, they may find it on your competitors website, and if they learn all their information about a treatment they’re interested in from your competitor, who do you think will get the call from that prospect when they are finally ready to have the treatment done? If you could put up a sign with your Practice’s name on it and hold it up in front of a potential patient’s face multiple times per week or per month, would you? According to Michelle Klein – Head of Marketing for North America at Facebook, we check our phones 30-157 times a day! While Mashable notes that the average person checks their email 15 times a day! So why are so many orthodontists ignoring this? Once you set up your website for success and you’re starting to collect a consistent flow of email addresses, the next step is to use those emails to build a relationship with the prospective patient. Not to just ask for them to contact you or to come in for a consultation, that would be like asking someone for marriage on the first date. Instead, let them get to know, like and trust you, send them useful, relevant content that is personal to them, and that pertains to the reason they gave you their email in the first place. If you’ve set up your website for success, you should see in most industries, anywhere from 0.05% to as much as 2% and even 3% of the traffic on your overall website to convert into leads. Every page on your site will perform differently, and dedicated landing pages should perform a lot higher than these numbers. In any case, for those with a lot of traffic to their site, this means 100’s of leads every month. So although email sounds nice, without automation, it just isn’t realistic. Here is an example of an email automation sequence. 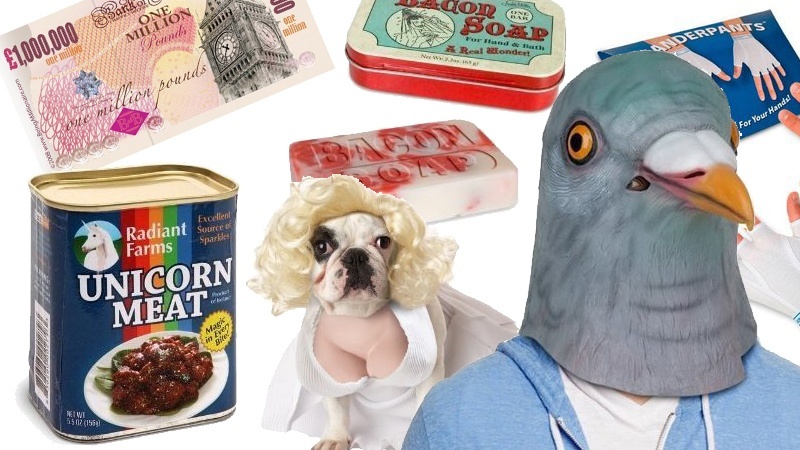 Amazon.com sells almost everything you can think of, from Unicom Meat to toilet mini golf and everything in between. Yet, when you visit the site, you’ll only see things that you might like. As a doctor you don’t recommend the same treatment to every patient do you? Of course, not, every patient has a specific need and problem that needs a particular solution. Furthermore, you don’t just show them a bunch of medications and have them choose; you present the most relevant solution to your patient. Your website should be no different. Personalization is one of the most underutilized tactics in marketing in the healthcare industry, if you visit any health care website, you’ll find the same old boring stuff. If you only have 3-5 seconds of someone’s attention before they move on and they leave forever, would you want to present them with something they don’t care about? I hope the answer is no. Google processes approximately 3.5 Billion searches per day. To put that into perspective that translates into 40,000 searches per second! And according to Search Engine Land, nearly 50% of those searches on Google have a local intent. 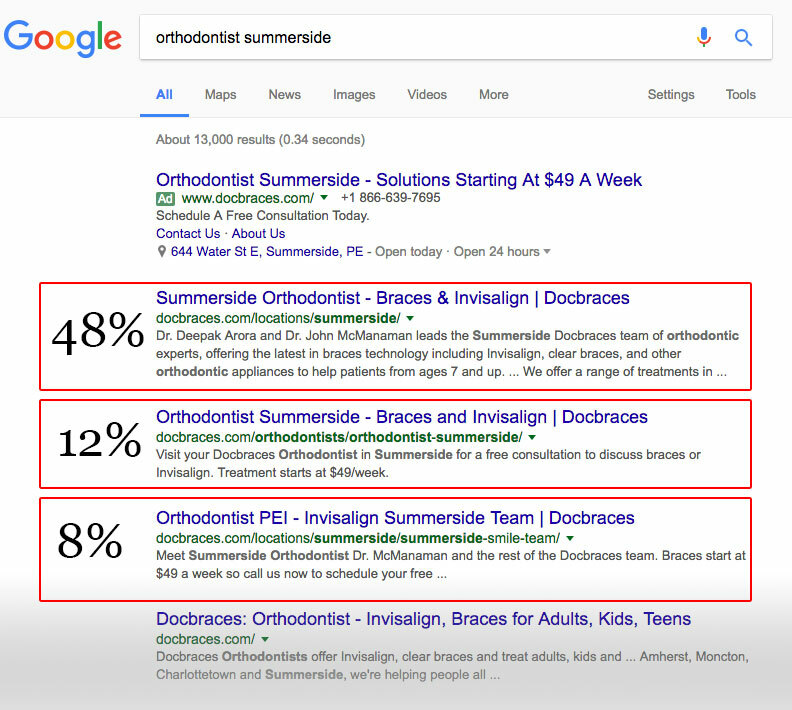 Of course, not all of those searches are for Orthodontic treatments, but it does show the power and potential of showing up on the search engine. What would you pay to have a storefront in the middle of time square in front of hundreds of thousands of people per day! For most people, this is a no-brainer, but getting to the top of the search engine results page on Google in a competitive industry is no easy task. 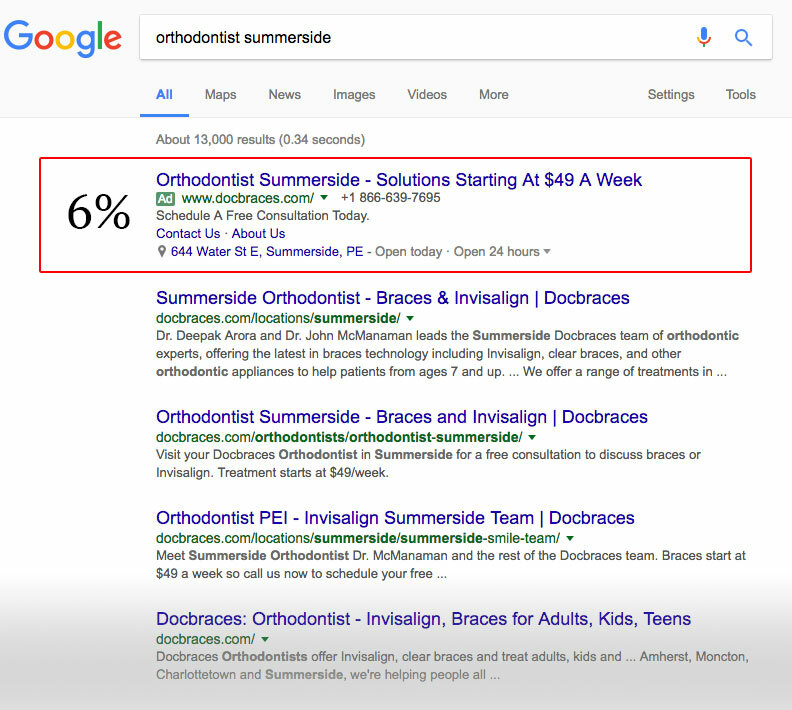 Did you know that there are an estimated 246,000 searches for the word “Orthodontists” on Google every month? 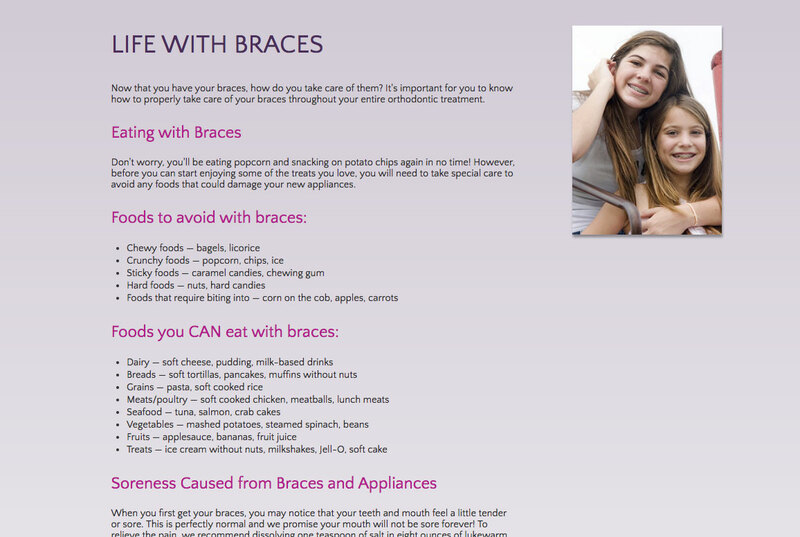 How about the word “Braces” which has 301,000 searches per month? Or “Invisalign” which has 368,000 searches per month? These are people that are quite literally looking for what you sell! According to GroupM UK and Nielsen, 6% of all searches on Google go to the ads. Which means that 94% of all searches on Google go to the non-ads (organic) search results on Google. Of that, 94% of non-ads (organic) search results, 68% is going to the top 3 organic results. If almost all of the traffic is going to the top 3 results in Google, isn’t it a dogfight for those positions? The answer is yes, sometimes it can be, but here’s the thing. 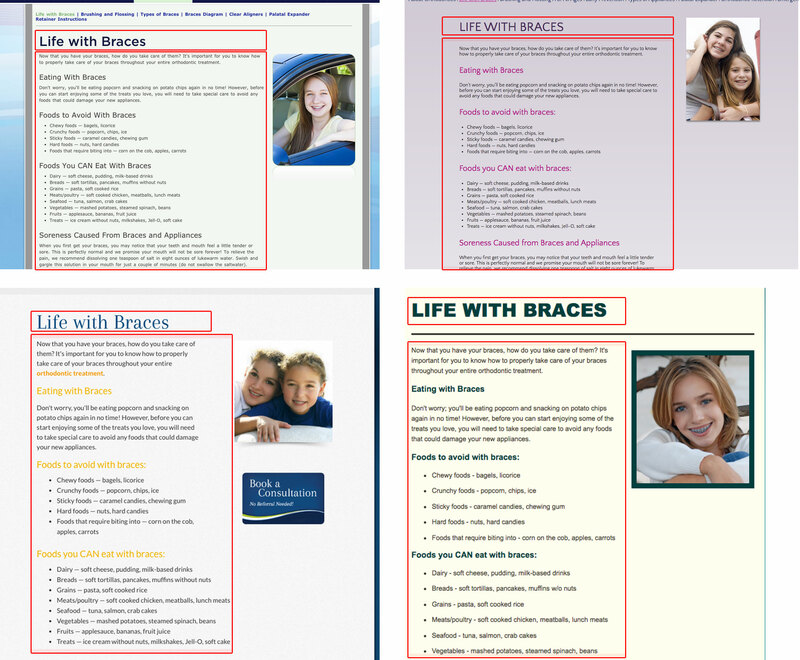 There are roughly 200+ factors that Google uses to determine its ranking in its algorithm; some are more important than others, but not only are most Orthodontists doing nothing with their website, but there are a lot of Orthodontists that unknowingly have issues with duplicate content, and this is a huge problem. 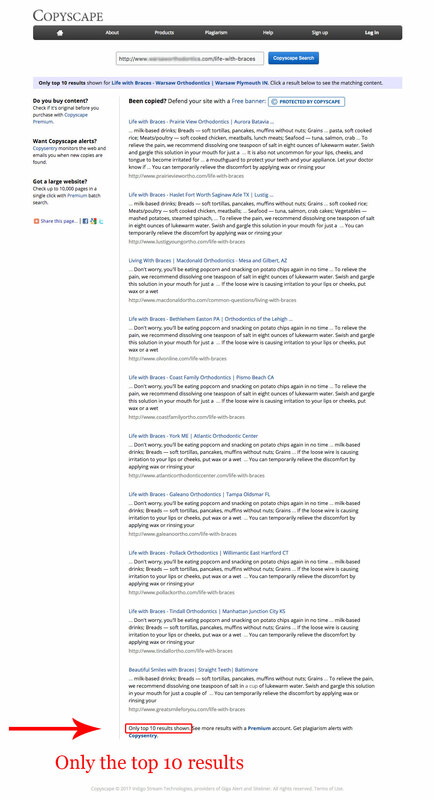 Unbeknownst to these orthodontists that Google might be looking at their website as spam and all chances of them ranking on any of those topics are slim to none, and that’s if they didn’t get flagged as a spam site and they happen to be the only orthodontist in their area with this content. 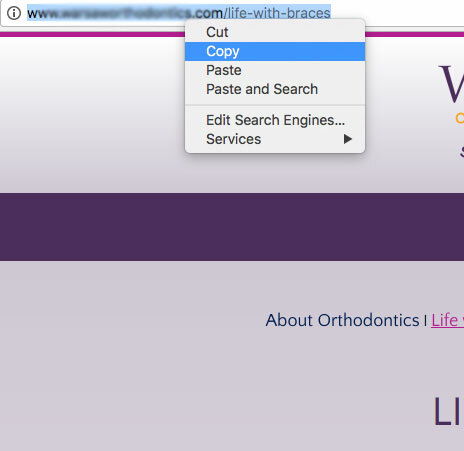 Here’s why, a lot of these Orthodontists happened to use a handful of “companies” that offer “Orthodontic websites”, the problem is that aside from changing the look of the website, under the hood all these websites are a word-for-word duplicate of one another. The reason this happens is because most of these companies are “tech” companies and not a web development or marketing agency, so their process is designed to get as many websites out the door as possible and without a strategy that aligns with your practices internal operations and the goals that you have for growth and expansion, your website is simply acting as a brochure. Here is what a proper process should look like when building a website for your practice. If you’re wondering if you may have been “signed up” or hired one of these companies you can follow these steps. 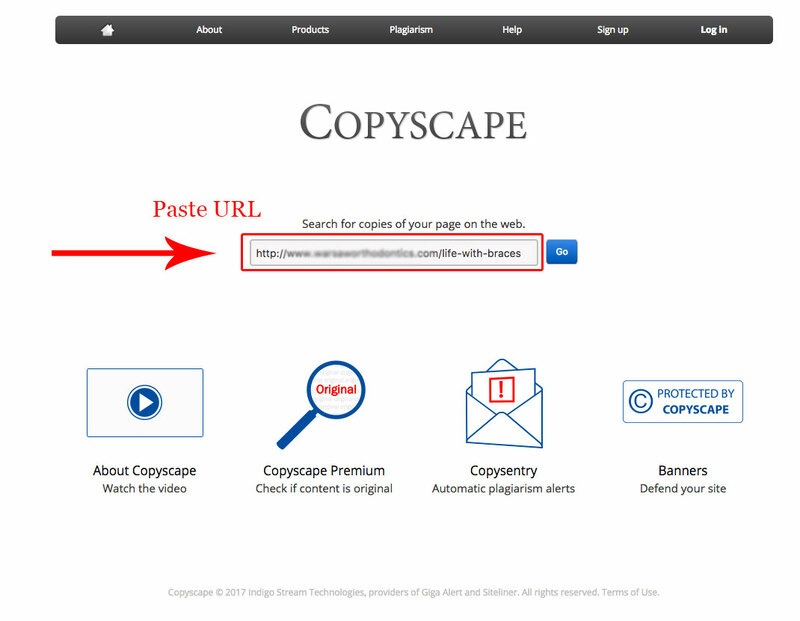 Select the URL of the page in the address bar and copy the full URL. In the search bar paste the URL from your website. 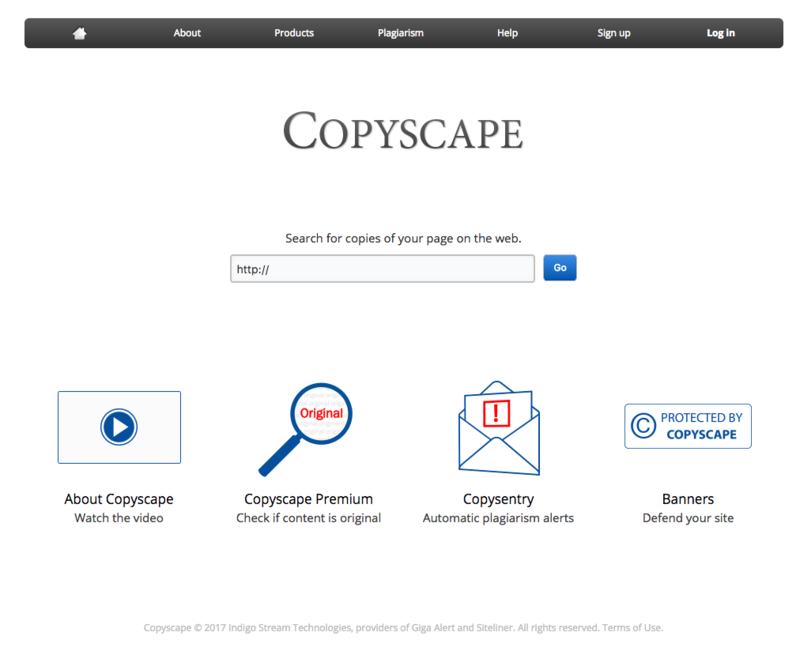 With a free account, Copyscape shows you the top 10 results, if you’ve hit 10 results this is enough to know that there’s something wrong. PPC stands for Pay-Per-Click, which is a form of advertisement. Although not exclusive to Google, the abbreviation has become synonymous with Google Adwords, partly because Google invented the advertising payment model which later was adopted by other platforms. The way PPC works is advertisers select the keywords they would like their advertisement to show up in and select the amount they are willing to pay if someone clicks on the advertisement. Since Google uses a bidding system, the amount you place for your max bid will only be what you pay if you are bidding against another ad for a specific keyword. If 30% of searchers click on these advertisements and 60% of searchers click on organic search results wouldn’t it make sense to use PPC in conjunction with search engine optimization? With AdWords, Google gives you 25 characters for the title, 70 characters for the text and 35 characters for the URL to use in your ad, so you want to make the biggest impact you can. Here are a few tricks. Use capitalization in every word in your advertisement. Each ad should have a dedicated landing page – you can have multiple variations of one ad to the landing page, but ideally the ad and the landing page should be synonymous with each other, one should not be created without the other in mind. For instance, unless your homepage is designed around an ad you should probably never link to the homepage because the homepage is usually general in nature as one page can be very specific. The potential that social media can have on your business growth is incredible! Let’s assume that you at the very least have a Facebook page for your business. Where most Orthodontists fall short is in how they use these platform. Facebook, Twitter, Instagram, Pinterest and LinkedIn all have their own etiquette. What works on Facebook may not work on Instagram or Twitter. Every post should speak to your target persona(s), should have a purpose and should have a defined next step. Just like everything else in online marketing, you should approach social with a plan. If you have a posting strategy and are utilizing the platform’s features to the fullest, you’ll see much greater results from social. The first thing you should do is to try and be consistent in your posting schedule: the more you post, the more you’ll become familiar to your existing network, this is like seeing a billboard or TV commercial everywhere you go. On Twitter since the life of a tweet is only a few seconds, you can get away with posting multiple times a day. On Facebook the more activity you see, the more you’ll be rewarded with more organic exposure from your page, but that’s not where the magic happens on these platforms. Just like Google PPC, Facebook, Instagram, Twitter and even Pinterest all have ad networks you can utilize, and this is where you should be tapping into. But before you create a ton of “we’re the best orthodontist” ads or “come in for a consultation” ads, you need to understand a few things. Who are the people you’re trying the reach? 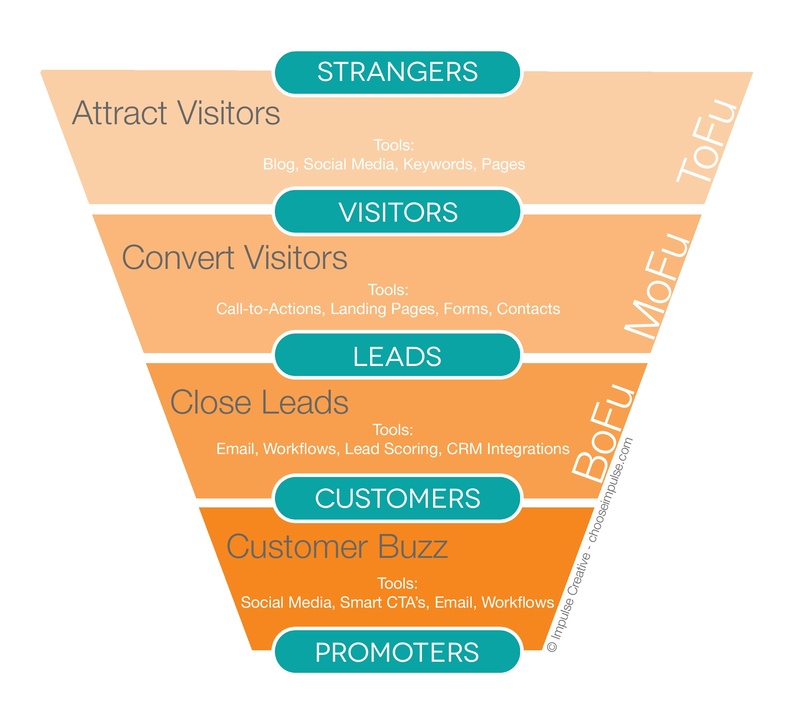 Where are they in your funnel? And how do you move them to the next stage? 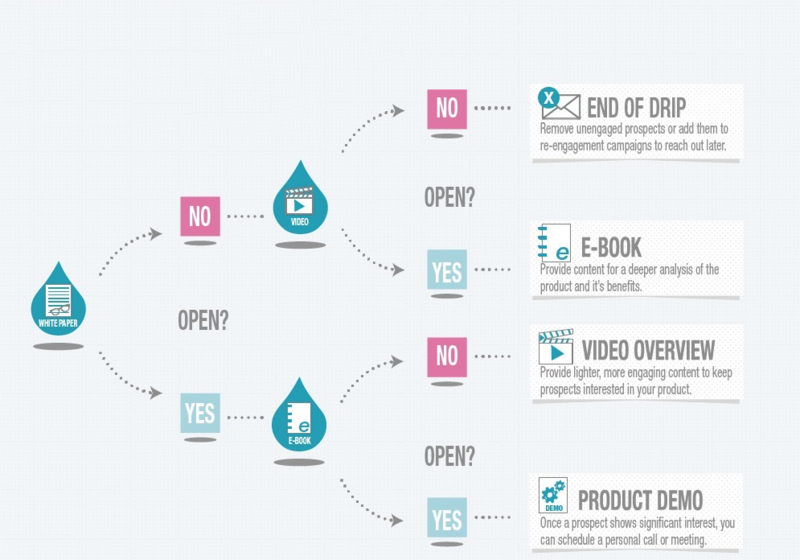 You should be running ads that align with where that person is in the marketing funnel. If they just learned about you, then you shouldn’t be sending them consultation requests. Instead, you should be sending them ads that link to a related article or offer in context to the page they viewed on your website. You know that saying, “you only have one chance to make a first impression”? Well, in any form of marketing or advertising, we don’t exactly know when that first impression is. On average it takes someone approximately 7 interactions with your brand to notice you, that’s because we’re bombarded with an average of 3,000 advertisements a day, so we developed visors to block out the ads. We can walk right by a billboard or even be staring right at it, and if asked 5 minutes later about that billboard we will have no idea, we zone out. Pile this on top of the fact that nowadays we have technologies like TiVo or ad blockers to help us block or filter these out. What if someone comes to your website but doesn’t tell you what they want to see? Of course, you’ll have a challenging time delivering the best possible experience for them, or you’ll have the default content available, but if they just told you one little thing about themselves on your website you know you can do better! That’s where Retargeting comes in, when someone comes to your website, you might not know who they are, but you can tag them, this is how personalization works, once a person visits your site they’re tagged, and once they start providing information to you, we start to fill that tag with the information they provide us with, however, when someone’s tag is empty there’s not much personalization you can do, but you can use the tag for something else. 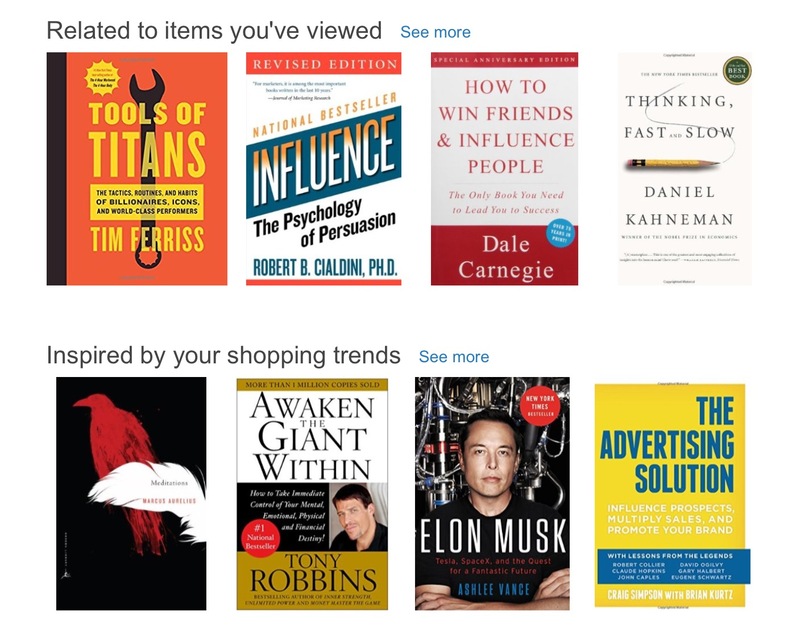 Retargeting. Retargeting falls within the realm of advertising and platforms like Google and Facebook have advertising options to use those tags. When someone is tagged after visiting your website and then visits Facebook, Google or any Google ad partners, they are presented with your ad, relevant to the content they consumed on your site, this is widely used in e-commerce marketing when someone views a product but doesn’t purchase or they add items to their cart but then abandon the purchase. However, orthodontists can use the same tactics to build trust, or bring potential patients back to their site and eventually in your chair for a procedure. After putting so much effort into getting someone to your website, do you really want to see them leave, never to return again? No way! As your practice grows, it’s inevitable that you’re going to get people that are unhappy with something. This could be anything from too long of a wait time to someone in the office looking at them the wrong way. The things that people come up with are amazing when sometimes it’s just that the patient was having a really bad day, and it happened to be on the same day that they were starting treatment. Whatever the case, these bad days from your patients should not affect the reputation of your practice. Imagine if there was a way to minimize the amount of bad reviews you get online to almost zero and maximize the good reviews. Sidenote: a review funnel will not help your practice if you are doing something unethical or are not servicing your patients, properly and we do not condone or support anything unethical or shady in any way. But I’ll assume that if you’re reading this article that you’re a licensed and ethical orthodontist. A Review Funnel is simply a way to filter your good reviews from your bad ones. Located on your website, brochures and other platforms you should have a link for people to leave a review. But here’s where the magic happens, on a scale of 1-10, when someone rates you a 6 or above they are prompted to continue to Google locations page, HealthGrades, etc. and finish the process there, where that positive review can be public. However, if the rating they give is below 6, the user is taken to a separate area on your website where they can fill in a message box that will go directly to you. If someone gives you a rating below 6, chances are it’s a bad review, and the best thing to do is try whatever you can to make that rating go from below 6 all the way up to a 10, and once you get them there you can ask that they leave a review again. Given that 88% of consumers trust reviews as much as a personal recommendation from a friend, it’s so important that you keep an eye on your reviews. Sites like Yelp!, HealthGrades, ZocDoc and Vitals provide patients with an opportunity to review your practice and rate it, and keeping track of reviews is an important part of managing your reputation. Most sites provide an opportunity for the practice to respond, so if a negative review appears, you can post a response – just keep it thoughtful and kind. Review sites also provide you with insight into what patients like and don’t like about your practice. Did you know that most orthodontists claim that roughly 50% or more of their patients are adults? Traditionally, orthodontics has been focused on the “tween and teen markets (and, of course, their parents). But the American Association of Orthodontists reports the number of adult patients seeking treatment is rapidly increasing. “Invisible” and sublingual braces are especially popular among this older demographic, where treatment is recognized more as a long-term investment, and financial factors often are not as critical. 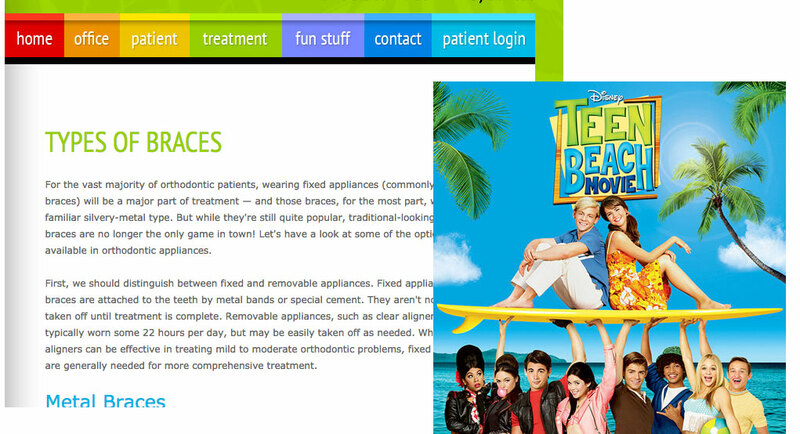 So why then do so many orthodontists have a website that looks like a bad Disney movie? It’s one thing to have your office be kid-friendly, with a play area and so on, but there is no kid that is ever going to sign up for Orthodontic treatment from you on your website, rather it’s their parent or guardian who will be researching and doing it. Not to say that adults are the only visitor to your website, as tweens are also very adept at researching for themselves and then asking their parents to schedule a consultation. However, understanding who is visiting your website and who you’re talking to is vital to the success of your practice growth. 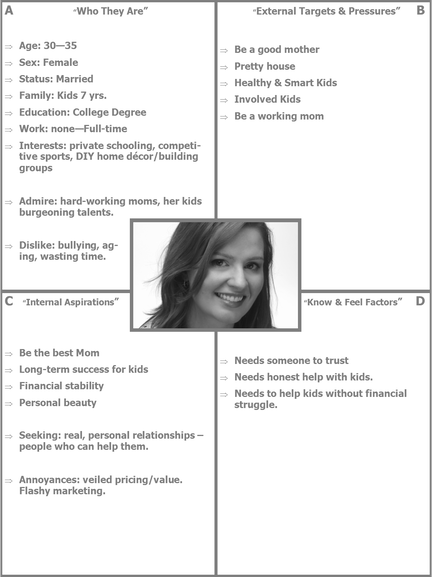 Buyer personas are fictional representations of your best patients or the ones you want more of. Would you do a consultation with an adult in the same way you would a tween? Would you use the same terms? Additionally, would you start by presenting braces during a consultation with an adult who wants to straighten their teeth when you know that adults prefer Invisalign over braces and that adult might be a great candidate? The way you conduct your consultations are from experience, you know what to present and how to present it, but personas aren’t only for consultations, they’re also to align your complete practice, and for your business to have one consistent voice, in graphics and images to communications and service. To create a patient persona ask yourself (or a few cooperative patients) these questions. Who else is involved in the decision-making process? It’s important to do this with every treatment you offer and every persona e.g. “Adult + Invisalign” vs. “Adult + Braces”. Use these 10 powerful tactics to grow your practice and take your business to the next level. If you’re interested in a free assessment of your current marketing and sales program. 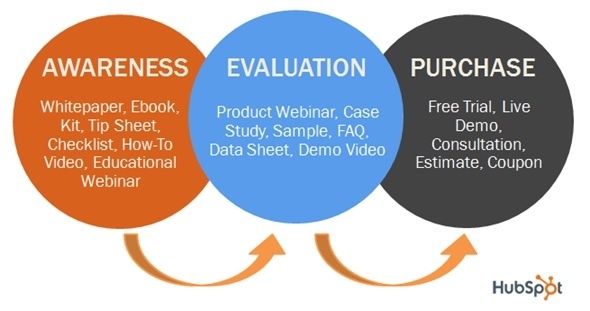 Book a FREE Inbound Marketing Assessment Now!